Souji Okita, dressed in the Coat of Oaths. 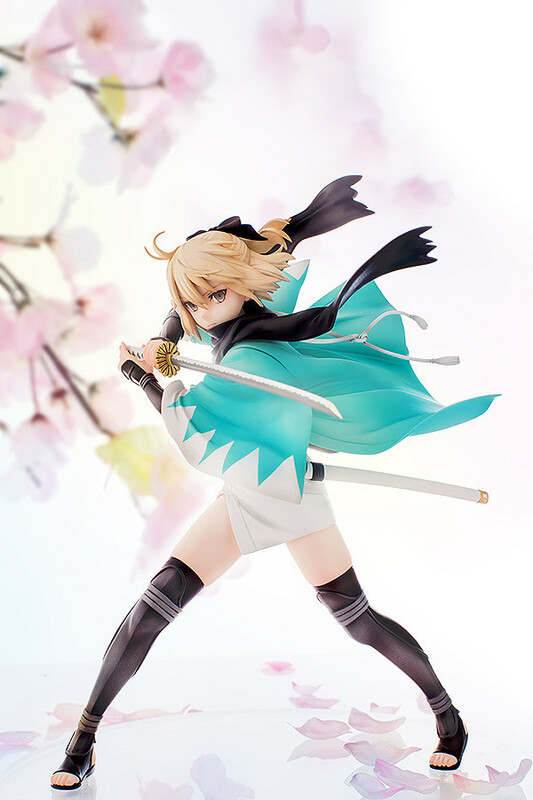 A rerelease of the 1/7th scale figure of Sakura Saber - the character who originally appeared in 'Koha-Ace' serialized in KADOKAWA's Comptiq magazine, and then went on to take part in a limited time event in Fate/Grand Order! 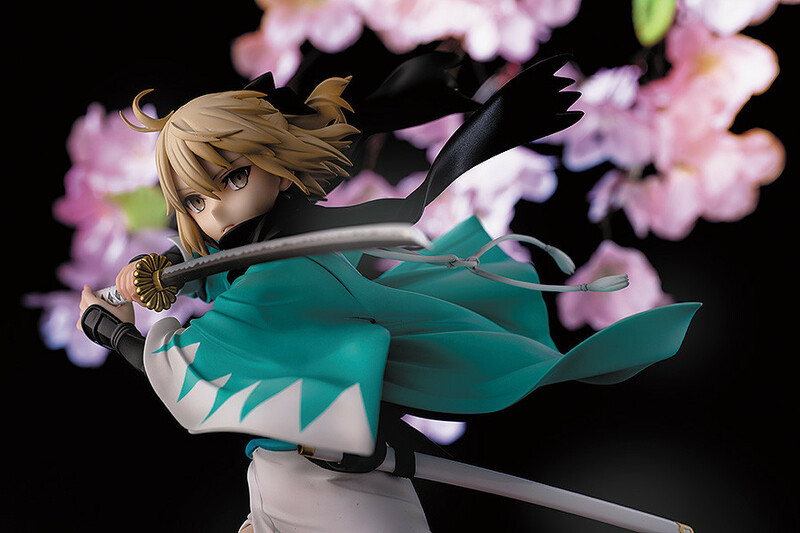 She has been sculpted wearing the Coat of Oaths Noble Phantasm, showing her dressed just like her true name, Souji Okita! The figure is sculpted by Ken Kawanishi. 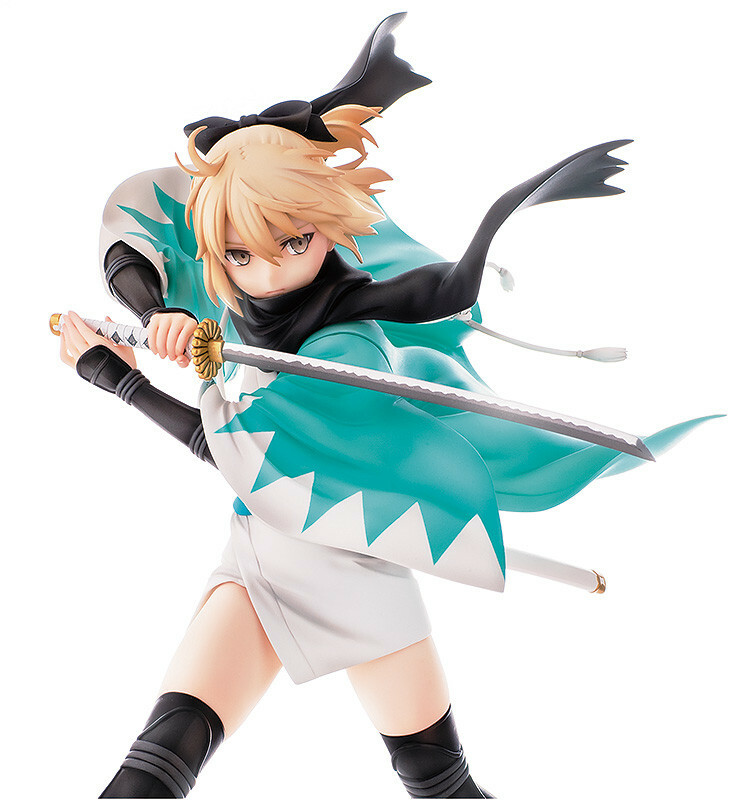 The characteristic blue-green coloring of the coat has been faithfully reproduced, and she holds her carefully detailed katana 'Kiku-Ichimonji Norimune' ready for combat, creating a figure that fans will be proud to own. Be sure to summon the confident solider of the Shinsengumi to your side! Painted 1/7th scale ABS&PVC figure. Approximately 245mm in height. Preorders will be open from 12th June 2018 (Tue) from 12:00JST until 2nd August 2018 (Thu) at 12:00JST.